A554 Welded Stainless Steel Tubing from Robert-James Sales, Inc.
1.1 This specification covers welded stainless steel tubing for mechanical applications where appearance, mechanical properties, or corrosion resistance is needed. 1.2 This specification covers as-welded or cold-reduced mechanical tubing in sizes to 16 in. 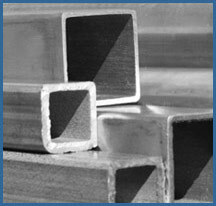 (406.4 mm) outside diameter, inclusive (for round tubing) and in wall thicknesses 0.020 in. (0.51 mm) and over. 1.3 Tubes shall be furnished in one of the following shapes as specified by the purchaser: round, square, rectangular, or special. 1.4 Supplementary requirements of an optional nature are provided and when desired shall be so stated in the order. 1.5 Values stated in inch-pound units, in accordance with the specifications, are to be regarded as the standard.